It’s nearly Valentine’s Day and the pressure is on, what to do. There are two choices, dining out or staying at home for a nice evening. No matter what your decision is Valentine’s Day involves three things, Food, Wine, and dessert. Special occasions, in this case, Valentine’s Day is one time when you want the evening to be perfect so it is important to think about what wine you are going to enjoy with your meal. I have a few easy suggestions on how to approach this decision making process. Choosing a wine for your romantic Valentine’s dinner can be difficult in the sense of what wine will you and your dinner guest both enjoy. If you are dining out I recommend choosing a restaurant, like Ciao Mambo in Missoula, that has a nice wine list and offers many selections of both red and white wines by the glass. If your are like my wife and I she typically enjoys a dinner that pairs well with a white wine while I tend to enjoy dinners that dictate red wine. For today’s special occasion I’m recommending seven wines today that are fabulous and inexpensive. The red and white wines are super wines and are well rounded and forgiving enough to pair with a myriad of Valentine dinners. 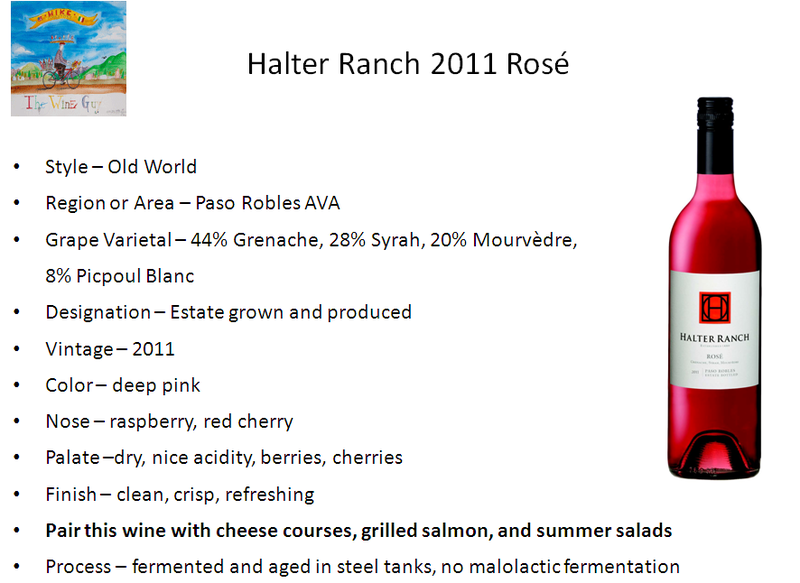 The Rose´ is a very food friendly wine that will pair with any entree you may be serving. When I think about wine and food recommendations I always consider Old World wines that are made to enjoy with food or New World wines that are made in an Old World style. It’s important to remember to pace yourself so that you enjoy this special evening. All of the Old World wines selections I’m recommending today are lower in alcohol content. This allows the wines not to be too big or bold as not to compete with your meal. In other words these wines are great companions for tonight’s dinner. Chateau Coustaut Graves Blanc – $13.99 A blend of 45% Sauvignon Blanc, 45% Semillon and 10% Muscadelle. 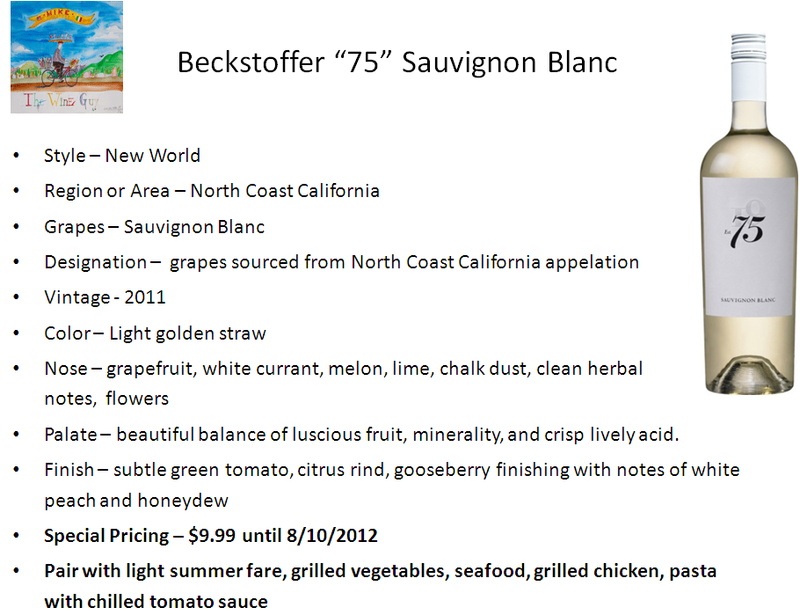 A great white Bordeaux wine. 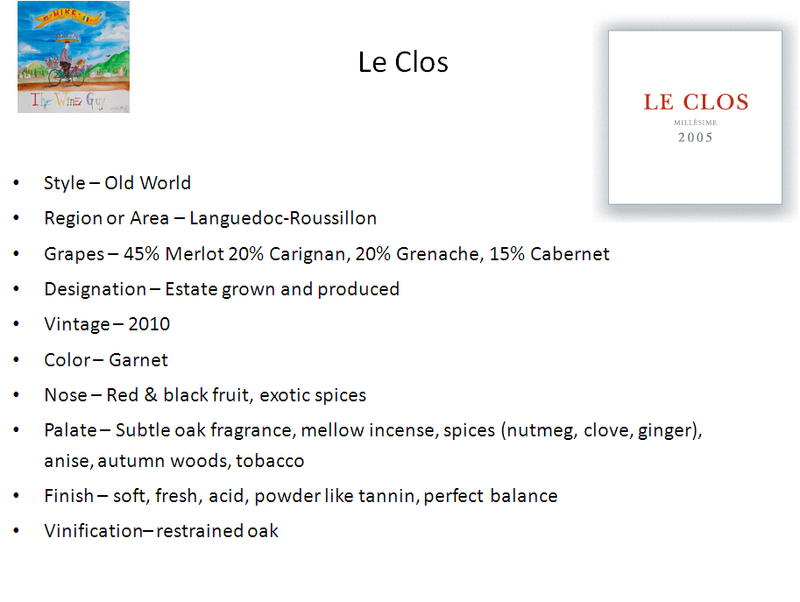 L’Ecole No 41 – $10.99 Fresh, tart, crisp, with nice fruit from the New World of Walla Walla. This is a great food friendly white wine. In the annals of winemaking, Roberto Anselmi is a legend, a charismatic motorbike-riding rebel whose uncompromising quality-over-quantity approach has helped redefine the image of north Italian white wines. Since taking over management of his family’s winery in the Soave district of northeast Italy’s Veneto region two decades ago, Anselmi has been motivated by an emotional and professional commitment to tapping the unrealized potential of the wines he grew up with. This has entailed a significant parting of ways with traditional vineyard and winemaking practices that have historically characterized the Soave district, and given birth to a new generation of north Italian white wines of unprecedented quality, character and finesse. 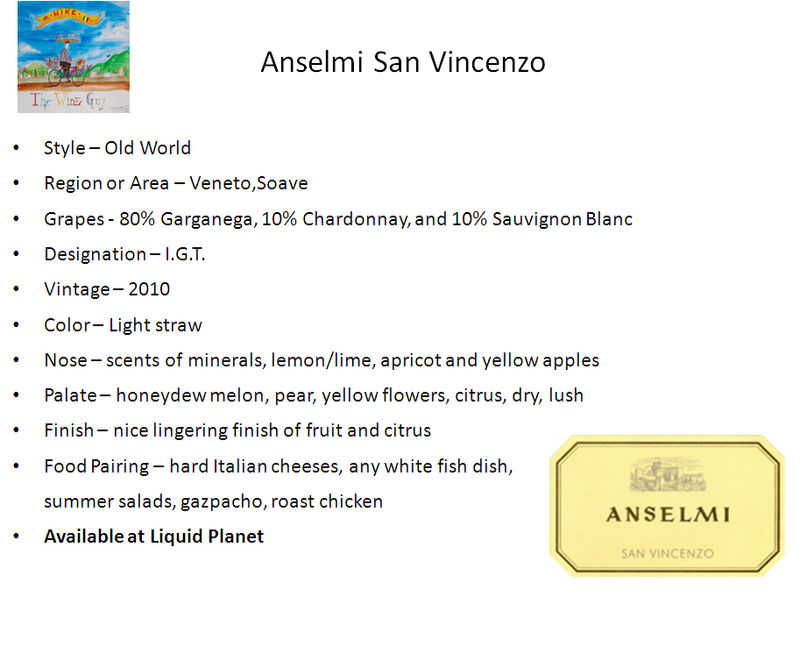 Anselmi San Vincenzo– $11.99 The Anselmi San Vincenzo is 80% Garganega, 10% Chardonnay, and 10% Sauvignon Blanc. 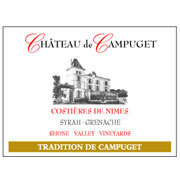 Chateau de Campuget Costieres de Nimes Tradition Rose 2010 – $9.99 Syrah 70%, Grenache Noir 30%. The wine’s color is an intense peony pink. 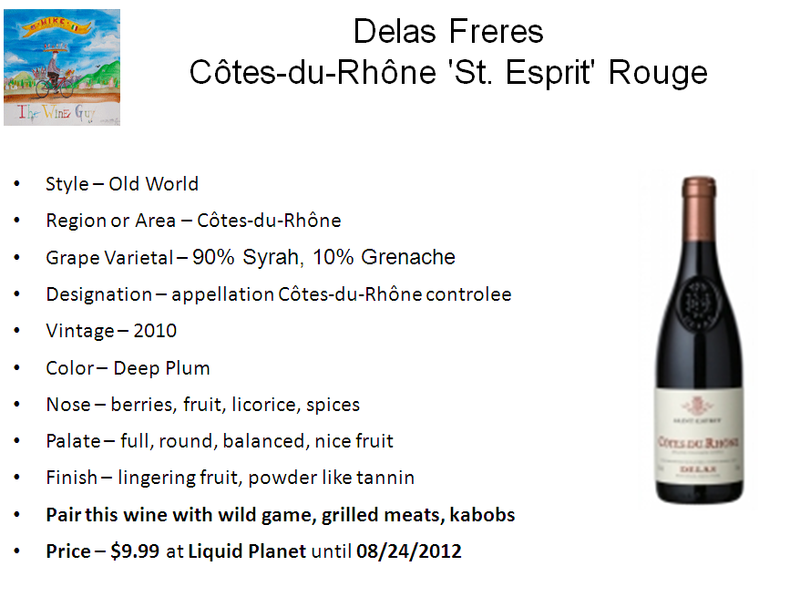 E Guigal Cotes du Rhone Red – $15.99 This is a beautiful wine shimmers in the glass and is inexpensive. 50% Syrah, 40% Grenache, and 10% Mourvèdre. 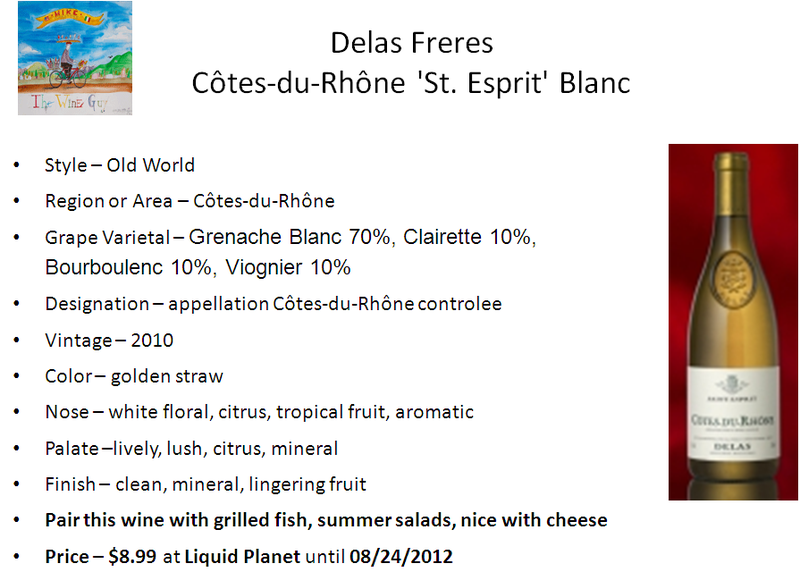 Delas Cotes du Ventoux – $9.99 The color is a deep ruby red, 80%Grenache 20% Syrah. 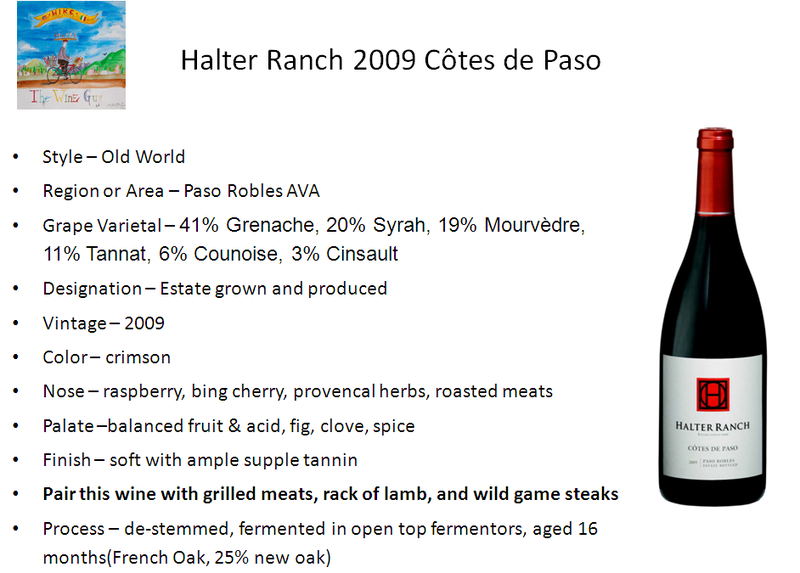 With it’s predominately berry-fruit bouquet, this wine shows the full aromatic power of these two fine grape varieties. Paolo Saracco keeps tight control of the harvest to ensure a perfect acid balance to the natural sweetness of this grape. A slight sparkle is traditional for Moscato d’Asti, it lifts the fruit and guarantees a wine that is light and refreshing. Every Saracco after Luigi has been known as “Lupetto” or son of the wolf. Paolo decided to change his labels to reflect the delicate quality of his wines, but in his heart, and in his village, he is still known as “Lupetto”. 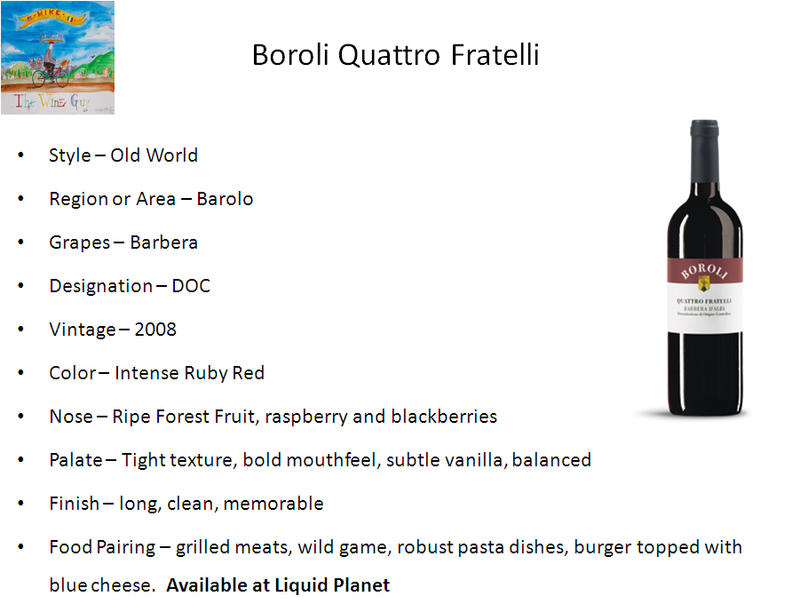 Check out Liquid Planet for today’s wine recommendations, this will give you a great head start for a romantic Valentine’s Day dinner. From my table to yours Happy Valentine’s Day, I’ll see you on the radio. 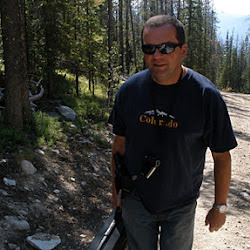 Good Sunday morning and welcome back to the WineGuyMike show. It’s nearly Valentine’s Day and the pressure is on, what to do. There are two choices, dining out or staying at home for a nice evening. No matter what your decision is Valentine’s Day involves three things, Food, Wine, and dessert. Special occasions, in this case, Valentine’s Day is one time when you want the evening to be perfect so it is important to think about what wine you are going to enjoy with your meal. This week I have a few easy suggestions on how to approach this decision making process. If you are dining in and planning a nice dinner at home consider the menu, this way you can purchase your wine ahead of time. Retail shelves get decimated on Valentine’s Day so by planning ahead you won’t need to be one of the last minute frantic wine shoppers. On special occasions it is normal to step up the price you are willing to pay for wine. I’m going to recommend three wines today that are fabulous. The red and white wines are super wines and are well rounded and forgiving enough to pair with a myriad of Valentine dinners. Guigal is synonymous with the Côte-Rôtie area, for bringing this great wine region to prominence. Guigal vinifies 1/3 of the total appellation, and unquestionably holding the finest sites in this tiny, special area. The incredible Syrah from this area, co-fermented with a touch of Viognier, has tremendously balanced concentration, depth and finesse. Côte-Rôtie is situated in the northernmost region of the Rhône Valley. The Syrah (96%) vine is planted on steep terraced hillsides which catch and focus the sun’s heat, giving the region its reputation and name: “roasted slope.” A small percentage of Viognier (4%) is interplanted with the Syrah, and the two are harvested and fermented together, giving the wine more elegance and lightness. The wines are red, made with Syrah grapes and up to 20% Viognier, a white grape used for its aroma. According to appellation rules, Syrah and Viognier must be fermented at the same time, a process known as cofermentation. Côte-Rôtie wine typically exhibits an almost paradoxical combination of meat aromas (including bacon) and floral aromas. However, even Côte-Rôtie from 100% Syrah can smell floral. Marcel Guigal purchases grapes from small growers to supplement his own vineyards, harvesting late to achieve perfect ripeness. 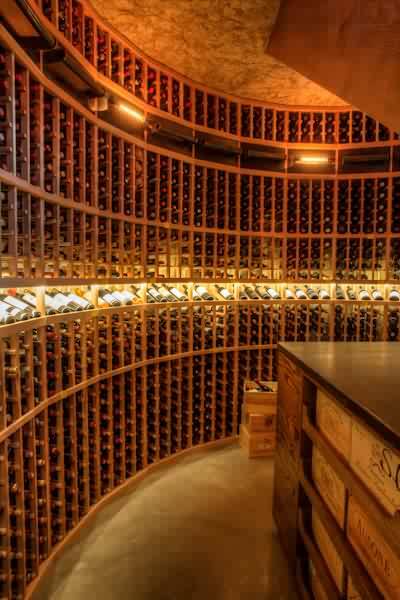 He ages each vintage in barrique (20% new barrels) for 24-30 months, and bottles the wines without fining or filtration. The Côte-Rôtie Brune et Blonde de Guigal refers to the fact that grapes from the two areas of Côte-Rôtie are used, from the Côte Brune and the Côte Blonde. The historical legend is that long ago a lord deeded the Côte Brune to his dark-haired daughter and the Côte Blonde to his blond daughter. The soils of the Côte Brune are indeed darker, containing more iron and some clay, and the paler Côte Blonde soils have more sand and limestone. Guigal’s Côte-Rôtie Brune et Blonde is a wine of finesse and complexity that ages beautifully, developing aromas and flavors of black pepper, spice, licorice, and game. The color of this wine is a beautiful deep ruby. This youthfully clenched, focused wine really stains the palate and has a long firm finish of mineral, candied flowers and blackberry. 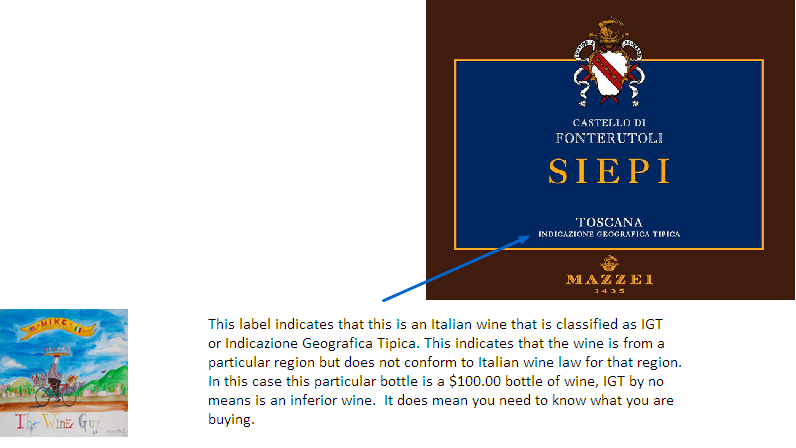 It is one of the great wines of the world. The Anselmi San Vincenzo is 80% Garganega, 10% Chardonnay, and 10% Sauvignon Blanc. In the glass the color is light straw while the bouquet of this Northern Italian gem is crisp and pure, with scents of minerals, lemon/lime, apricot and yellow apples. 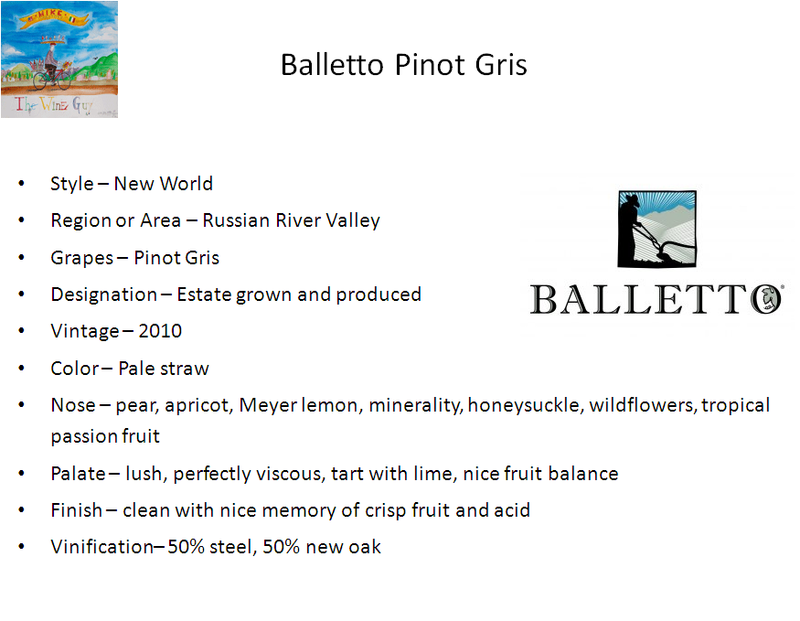 On the palate the mouthfeel is medium-bodied, dry and fresh, with notes of citrus fruit. 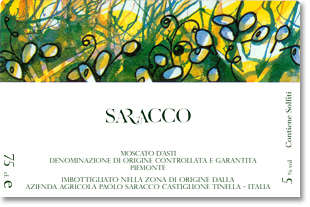 This is a delightful white wine selection from the Soave region. 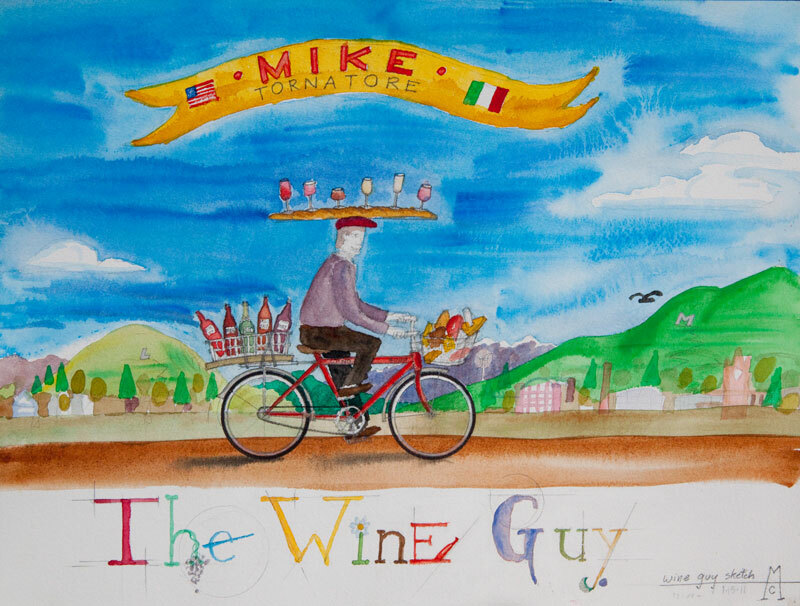 Good Sunday morning and welcome to the WineGuyMike™ Radio Show©. 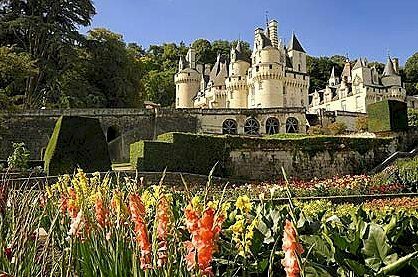 The Loire Valley is well known not only for its wines but it also is the summer playground of the rich, famous and royalty. The countryside of the Loire Valley is embellished with elegant and enormous chateaux. While the Loire Valley is the largest white wine producing region in France, it is also the second largest producer of sparkling wine in France. But what the region is truly famous for is Chenin Blanc. This wine whether you prefer an Old World or New World style of Chenin Blanc made in a dry style pairs very well with my favorite dinner this winter, Cheese Fondue. The blend of cheeses in this delectable winter comfort food is a staple for the Swiss. The wines that I’m recommending today are perfect partners with the Cheese Fondue recipe I’m also sharing with you, (see this recipe at the end of today’s blog post). Chenin Blanc is such a very versatile grape that it can produced as a standalone varietal or as a blending grape, typically with Chardonnay. It is dry, very crisp, acidic, high in alcohol content, yet is smooth and a full bodied white wine. Chenin Blanc wines are intense, aromatic, and floral on the nose. 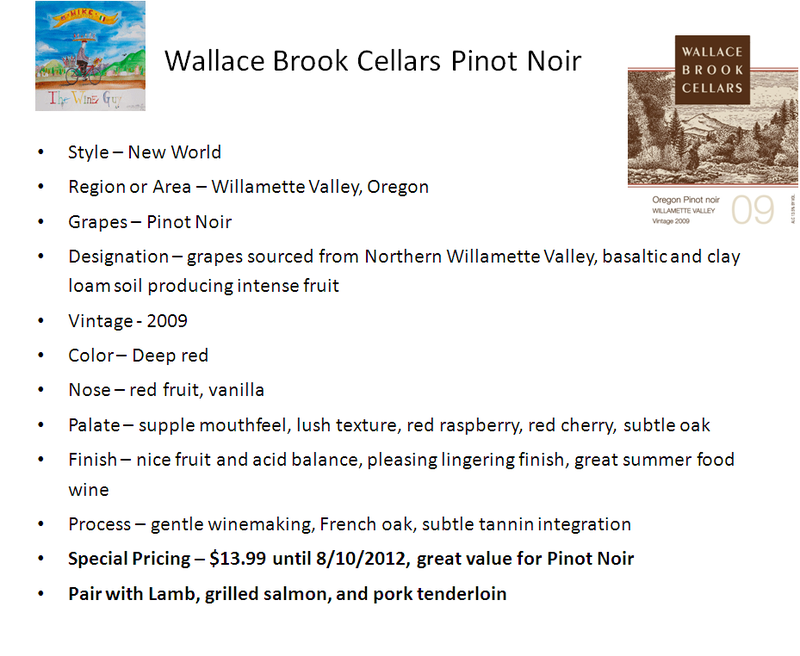 On the palate this grape will deliver a wide spectrum of flavors and textures. One’s palate may experience everything from slight citrus, grasses, spiciness, a little bit of honey, and lush tropical fruit. This grape is commonly referred to as the “chameleon”, it is diverse and can be made in many styles. In the Loire Valley of France Chenin Blanc is known as Vouvray, it is the best example of French Chenin Blanc. 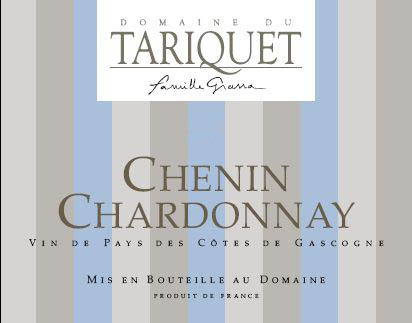 In the Old World Chenin Blanc is frequently used as a blending grape with Chardonnay. These two grape varietals are wonderful companions in a wine and I’ll be sharing one of these with you today. In the New World Chenin Blanc is typically produced as a single varietal wine. Old World winemakers ferment their wines at higher temperatures and age their Chenin Blanc wines in acacia and chestnut barrels. 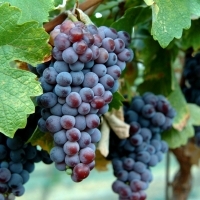 This Old World technique produces wines that are well rounded with a greater depth of desirable color. 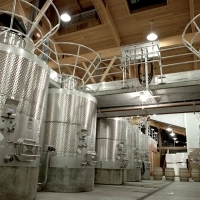 New World winemakers will use steel tanks for fermenting and aging. 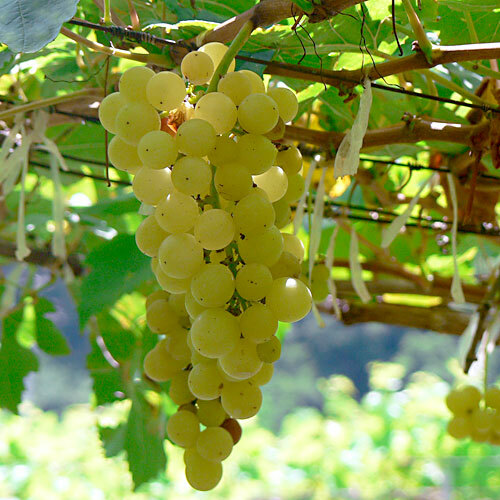 This technique preserves crispiness, acidity, and fruitiness that are terrific attributes of a well made Chenin Blanc wine. 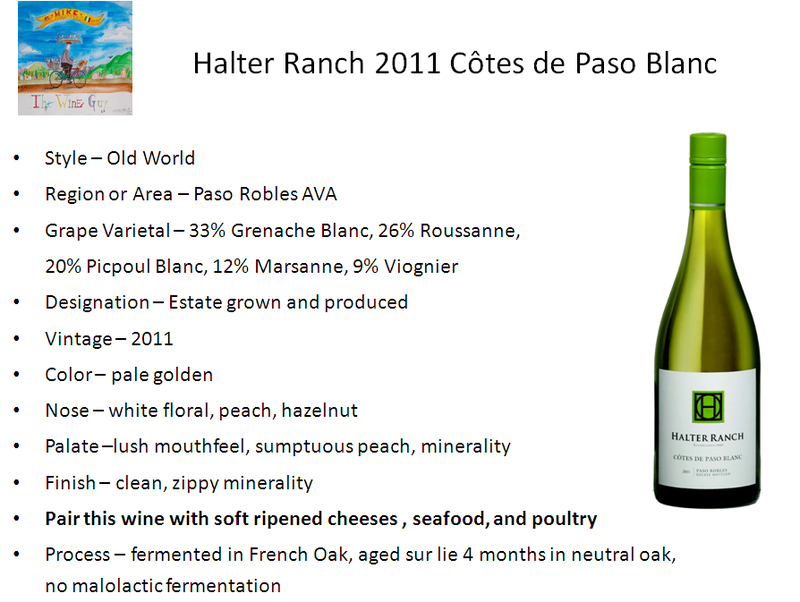 New World style Chenin Blanc’s are typically lighter in color than its Old World counterparts. Color varies with style and approach in making wine, wood barrels vs. steel tanks produce different results. The versatility of Chenin Blanc allows winemakers the flexibility to transform this chameleon of a grape into many different styles ranging from dry to sweet, or as a sparkling wine. This wine is often described as having a taste profile driven by minerality, greengage, angelica, and honey. The dry or semi-sweet styles exhibit flavors of chalky minerality, honey, quince, and acacia. Vouvray from the Loire Valley is offered in three different styles; dry which is known as (Sec), medium-dry or (Demi-Sec), sweet (Moelleux, m wah leuh), or as a sparkling wine. Winemakers of the New World are striving for a dry wine that both intense and floral. A well made Chenin Blanc wine is delightful on the nose, notes of floral aroma and scent of banana, pear, guava, and pineapple. This wine is crisp, acidic, and tropical with a little nuance of spice on the palate. Paired correctly with food this wine is beautiful and can bring out the very best in the food. Each year weather is a determining factor in the type of wine that is produced in Vouvray. Cool years produce vintages of dry or sparkling wines, while warm years produce sweet wines such as Moelleux, (m wah leuh). 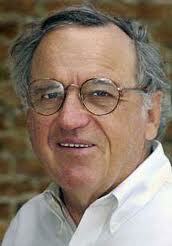 Because wines of Vouvray are naturally high in acid they may be aged in some cases up to 100 years. The soil in Vouvray consists of calcareous clay, producing Chenin Blanc wines that are rounded and balanced, delivering nice body, fruit, and acid. Almost all vineyards in the Loire Valley are planted on sloped plateau with southern exposure. Streams run through the area and this combination offer ideal growing conditions. Old World winemaking technique truly compliment the terroir of this region, the wines are stunning. This is one of the finest examples of Vouvray I have ever tasted. Visually this wine is sintilating in the glass, presenting a geourgeous pale gold yellow. On the nose this wine is intense with floral and fruit driven scent. 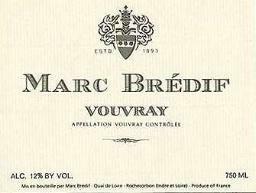 Marc Bredif Vouvray is perfectly deceptive on the entry and then reveals itself as lush and full on the mid-palate. Crisp, lush, yet a slight citrusy tart quality that shows a little citrus and a perfect grassiness that while this wine is big on flavor it is beautifully dry. Next you experience wonderful fruit led by exquisite pineapple with layers of other subtle yet a wonderful supporting cast of tropical fruits. color is pale gold yellow. It has a very intense and fruity nose with notes of white flowers and quince. 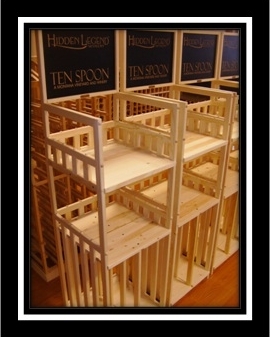 It has a subtle attack on the palette and a fresh structure and aromatic finish. This wine from the Southwestern Languedoc Rousillon region is a lovely wine and at this price you can’t go wrong. It’s crisp, it’s creamy, yes a treasure of a wine. The contrast between the Chenin Blanc minerality and the creamy Chardonnay is somewhat reminiscent of sweet and sour cooking. Refreshing, bold and full of flavor on the entry with underlying notes of crisp ripe grapes, followed by a satisfying finish. Faint floral shades of vanilla and toffee take turns revealing their delights, while a touch of saltiness leads to a pleasant lingering finish. 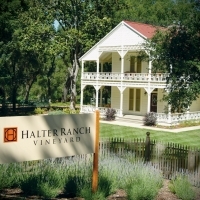 This second generation, family-owned artisan winery located in the historic Frenchtown School depicted on our label. 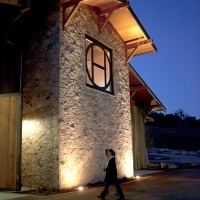 Founded in 1983, they are the third oldest winery in the Walla Walla Valley. 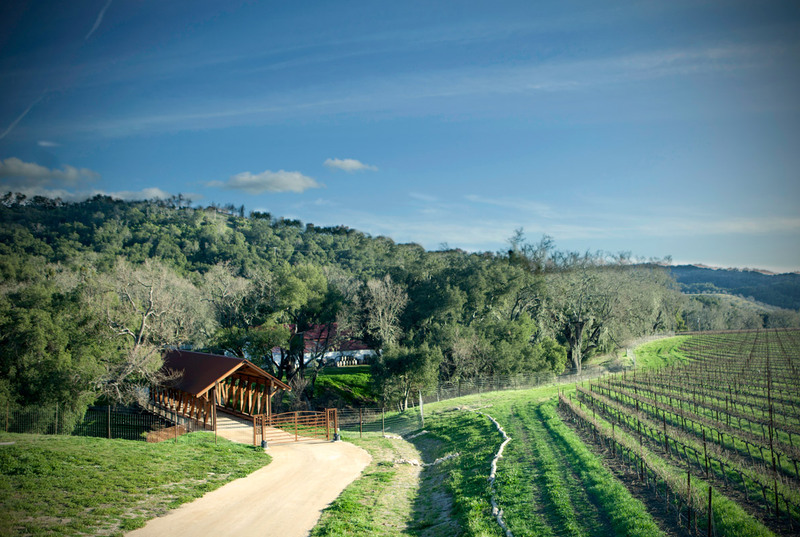 As a traditional brick and mortar winery they grow and make 100% of their wine. 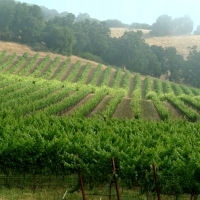 The focus is on terroir-driven, distinctive, and expressive wines. 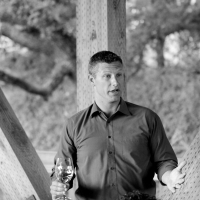 All of L’Ecole’s Walla Walla Valley wines are made from grapes which are certified sustainable. This fresh, tart and delightfully fruity Chenin Blanc shows Asian pear, perfumed honeysuckle and orange blossom aromas with flavors of apple, apricot, and grapefruit on a crisp mineral, lightly sweet finish. L’Ecole Nº 41 has produced this old vine, Vouvray style Chenin Blanc since 1987. Jean Ferguson, L’Ecole Nº 41’s founding winemaker, loved this wine and crafted her version of Vouvray through cold fermentation to enhance the fruity and floral esters. This wine offers great value. 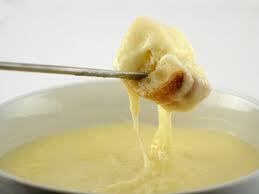 Grab your fondue fork and poke a piece of cubed bread, dunk it in the Cheese Fondue. Choose one of the wines I have recommended today and enjoy a perfect mid-winters meal.